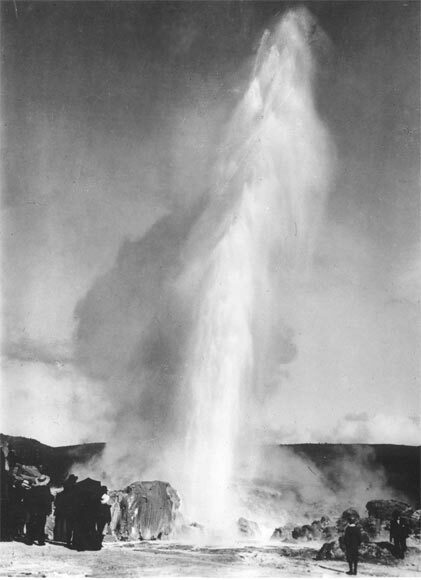 Wairoa geyser was the largest at Whakarewarewa, near Rotorua, but it did not erupt regularly. The spurts were sometimes induced – especially to impress special visitors – with the help of soap. Typically, a water column up to 60 metres high was ejected for a minute or so, followed by smaller, spasmodic shots. The longest recorded eruption, on 8 January 1903, lasted 130 minutes.